Of all the events I am covering for the GRAMMYS, this is the one I most looked forward to. 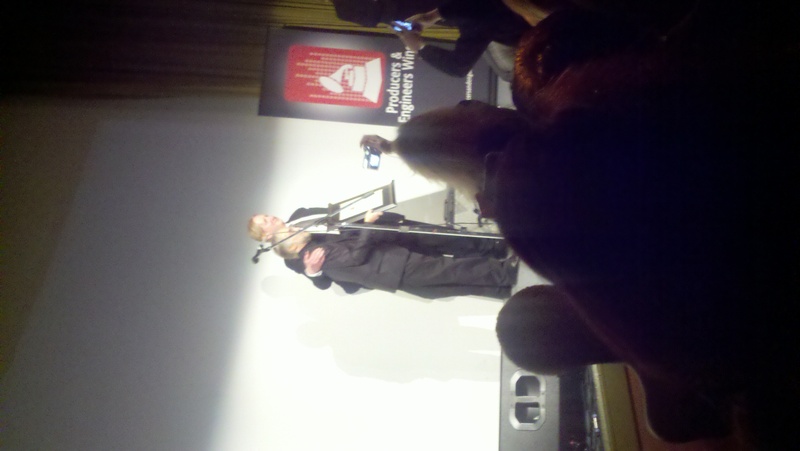 Great time at the Producers & Engineer’s Wing 10th Anniversary Honoring T. Bone Burnett took place at the historic Village Recording Studio which since opening in the late 60’s has worked with The Allman Brothers, The Beach Boys, Johnny Cash, Ray Charles, Eric Clapton,Elvis Costello, The Doors, Bob Dylan, The Eagles, George Harrison, Elton John, Tom Jones, B.B. King, John Lennon, Little Richard, Ringo Starr, and many others. Built by the Freemasons in the 1920s, the building was originally a Masonic temple, then in the early 60s the building was used by Maharishi Mahesh Yogi. The event to celebrate Burnett was christened “Shaken Rattled & Rolled” and the slide shows around the event showed how extensive his career has been as a producer, engineer and a musician. 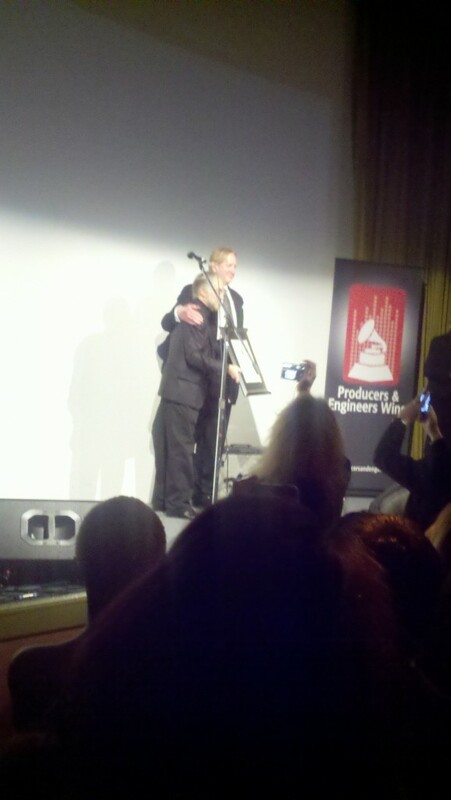 After brief comments by Senior Executive Director Maureen Droney and Co-Chair James McKinney there was a film celebrating the Producers & Engineer’s Wing of the GRAMMYS and their commitment to documenting and preserving historic and contemporary recorded media. Then after a recording introduction by Elton John (“greatest producer working today, run away with me!”) and Leon Russell (“I’m not sure what this award is for be this man deserves it!”) Burnett hit the stage to loving applause. The gist of his speech was that the sound he’s famous for championing, warm analog, has a a place in current recording as well as a future. And that “the recording industry made a mistake when they started making music for people that don’t like music. ” Burnett then introduced his latest proteges, The Secret Sisters and they serenaded the happy crowd late into the night. Thanks to my companion GRAMMYs Country Music blogger Meesa from 365 Days of Country Music. That’s awesome you got to cover this event. Leaving egos and images at the door and focusing on the sound and talent that goes into making it all happen makes for a great night. Congrats to all Grammy winners.